You are ready to bring in some help to free YOU up to focus on your clients and enjoying the business your built. You are good at taking care of your people, you do that. Let us generate buzz around your content so more of the right people are talking about YOUR business. You will begin to experience the beauty of word of mouth marketing! In October 2016 I stepped out of my comfort zone and quit my job as an elementary school teacher. I had NO plan, I just KNEW something had to change. I feel your pain with juggling all the things, when I started I had my two littles in my lap 90% of the time and was trying to figure out to navigate the WHOLE online world. 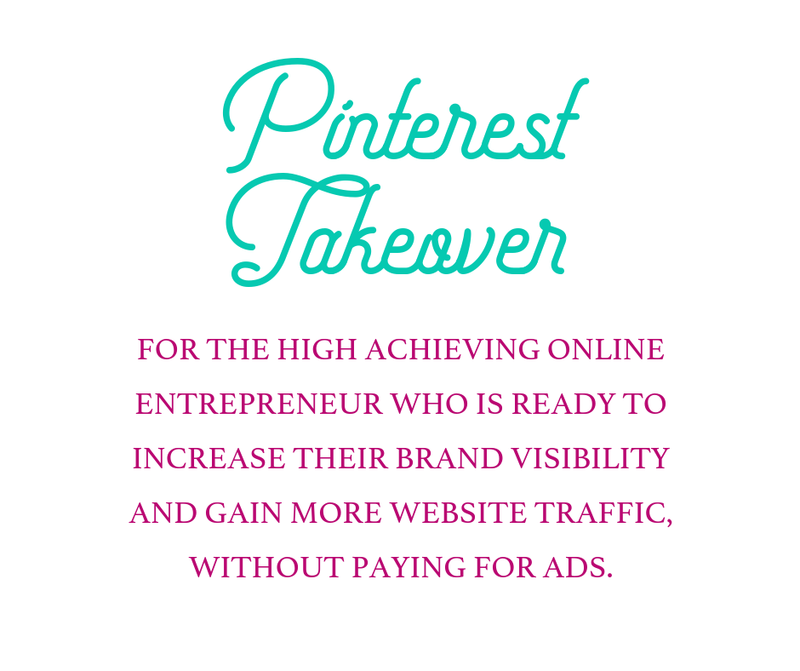 After many months of trial and error, I discovered Pinterest and the power it held to help businesses escape the social media rat race by increasing their brand awareness and website traffic while spending less time online. I FINALLY found my place, what I had been longing to do. This is about giving YOU freedom from the checklist. FREEDOM to create, serve, and ENJOY the life you are seeking with having your own business. With this full service package, you get to do what YOU are best at, running your business. We will handle ALL the behind the scenes details to increase your brand visibility, drive traffic to your website and generate quality leads. This Done for You Pinterest Package is a 6 month contract where we will handle everything that needs to be done to increase your brand visibility and website traffic without costly ads. Paid in full, this VIP service starts at $5,250. There is a monthly payment plan option on request. To start, we will work together to make sure you are crystal clear on your ideal client so that we can create a Pinterest account focused on the wants and needs of your ideal client. Next, we will completely optimize your account so that when your ideal client is searching, they find YOU! We will keep your account active and so it is ranked high in Pinterest's algorithm. We will find and use group boards to grow your reach organically, so you don't have to spend money on ads just to make money in your business. You create killer content and we handle the rest!